A more distinctive Canadian identity for soccer is beginning to take shape. The success of Canadian teams in North America’s top professional league, Major League Soccer (MLS), the rise of our women's national team into fourth place in FIFA rankings and having the men’s national team being competitive for bigger tournaments have allowed the world to take notice. 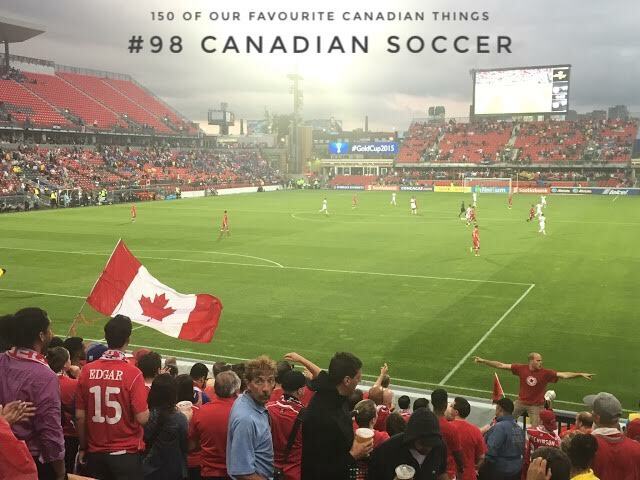 In a country as multicultural as Canada is, the identity of the world’s most beautiful game tends to be very insular to an individual’s country of origin. When the World Cup comes around every four years, neighbourhoods across the country are divided and support and pride is defined by the flags attached to car windows and hung from porches and garage doors. But that love of the game has turned into opportunity for Canadian city markets in the MLS. Professional football clubs exist in Toronto, Vancouver and Montreal all with world-class stadiums and support from die-hard fans. The Toronto Football Club (TFC) won the Eastern Conference and played in the MLS Cup Final in 2016 and is currently sitting first place in the league this year. They play out of BMO Field in Toronto, which FIFA considers Canada’s National Stadium. It’s located on the Exhibition grounds and is quick walk from many bars and restaurants in the town known as Liberty Village. A quick walk in the tunnel under the train tracks brings you down the laneway leading up to the impressive building. To experience a game there is enthralling. Soccer fans create a unique atmosphere that begin in the streets, chanting, playing drums, waving flags and releasing coloured smoke into the sky. It’s a religion more than a sport. The TFC and the Montreal Impact have established a rivalry over the past few years. They played in the conference finals last year that went the distance and had fans on both sides on the edge of their seats. In the end, the TFC prevailed, setting the stage for heated matches this season already. Vancouver, Montreal, Toronto compete every year for the Canadian Championship, which allows the club to compete in the North American Champions League for professional soccer clubs. Now in it’s tenth year, Toronto defeated Montreal to add to that intense rivalry. The Canadian Women’s National Team has had incredible success. They won Olympic bronze in London in 2012 against France and in 2016 against host Brazil. They have qualified for the Women’s World Cup every year since 1995 and came in fourth place in 2003. The state of the world’s most beautiful game is growing in Canada. So let’s wear our red scarves and scream O Canada at the beginning of each match, loud and proud!